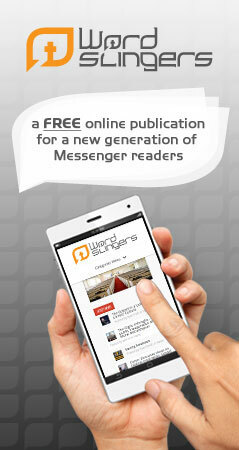 If you are a regular reader, you know I just returned from a trip to Israel with my youngest son, Caleb. 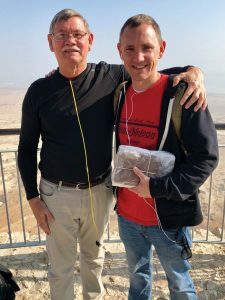 When I asked him to join me on this trip, he didn’t know I had a motive beyond hanging out together as father and son, learning more about the Bible as we wandered through the ancient ruins. I did want him to experience the land of the Bible, but I also wanted this to be a trip where he received his father’s blessing. I had originally planned to speak it into him when his brother and I carried the cross up Mount Kilimanjaro. But because of the timing of Titus the Honorable’s birth, Caleb couldn’t come with us. Later, I realized this happened in the sovereignty of God. Each of my sons needed his own unique journey with his father and a special time of receiving his father’s blessing. The term “father’s blessing” is not used much among our evangelical churches, but it comes from the Scriptures. We see it first in the Old Testament. Abraham blessed his son Isaac, Isaac blessed his son Jacob, and it kept going from there. In the New Testament, we see it when God the Father spoke his blessing into Jesus not once but twice: at Jesus’ baptism (Matt. 34:17) and on the Mount of Transfiguration (Matt. 17:5). Yes, God the Father spoke into Jesus in the beginning of his ministry and again as He neared the cross. In the Bible, the father’s blessing included words of encouragement, details regarding each son’s inheritance and prophetic words about the future. 1) To reach the place of blessings, a journey had to be involved. That journey would include a lot of one-on-one time and would require some degree of difficulty. 2) The blessing had to take place on a mountain. A good friend of mine once asked me, “Have you ever noticed every time Jesus went up a mountain, He came back down different?” That thought has stuck in my mind ever since. Thanks, Mark Combs. 3) I would incur the cost of the trip. To be a true blessing, it had to involve a sacrifice on my part. 4) As a part of the blessing, I would pass on to each of my sons something I held sacred. 5) I would write a letter of blessing to go along with that item. 6) Each of my sons would be encouraged, blessed, and know I am proud of the man he has become. 7) Each of my sons would know he is still the apple of his father’s eye. On our trip to Israel, I waited for the day we reached Masada. I had asked the tour guide earlier for permission for my son and me to climb Mount Masada. As the crowd left the highest point, I asked Caleb to stay behind so we could get a picture of the two of us. That’s when I began to speak into him, telling him how much I loved him and how proud I was of him and his roles as father and a pastor, grateful God has gifted him with such skills to preach and teach the Word. I reached into my backpack and pulled out my first Bible, the one I bought when I preached my first sermon. Torn and tattered, it contains autographs of the famous preachers I have met on my journey: W.A. Criswell, Hyman Appelman, J.D. Grey and others. Every page is marked up, underlined and filled with notes. The only place not marked up was the inside cover, so that’s where I wrote my love letter to Caleb. “No, son, it is now your Bible.” We hugged and cried with joy.